The initiative will provide the opportunity for researchers and young companies to demonstrate their state-of-the-art technologies to over 3500 people at this international event. It is FREE for eligible researchers and companies to participate. Spaces are limited to 10 organizations, which will be featured in the exhibition hall, alongside an estimated 270 exhibitors. The exhibition will provide a premier networking platform with multiple opportunities to meet CEO/VP-level end-users, manufacturers and system integrators from around the world. It is FREE for eligible researchers and companies to apply, the winning entries will each receive a free table-top exhibitor place in the IDTechEx Launchpad zone. The exhibit space will include a counter, 2 chairs, electricity, two passes to the conference & exhibition, and promotion as an IDTechEx Launchpad exhibitor. 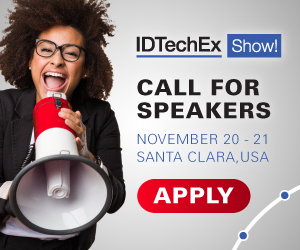 Please note that if you have previously exhibited at an IDTechEx event you will not be eligible to apply. The submission should comprise of a summary/abstract along with the application, including supporting materials. It must state which demonstrators will be shown. The application closing date is September 7. Successful selected entrants will be notified on September 14 and will need to confirm their participation by September 21. Click here to apply for the Launchpad and for more information visit the Launchpad webpage. "A fascinating array of advanced technology available for technologists to use today"
"Well organized, very good cross pollination between industries, relevant presentations, and targeted networking"
"The exhibition has been perfectly organized and it has been a very useful showcase for our new-born startup. The product idea has encountered great interest of the other companies"